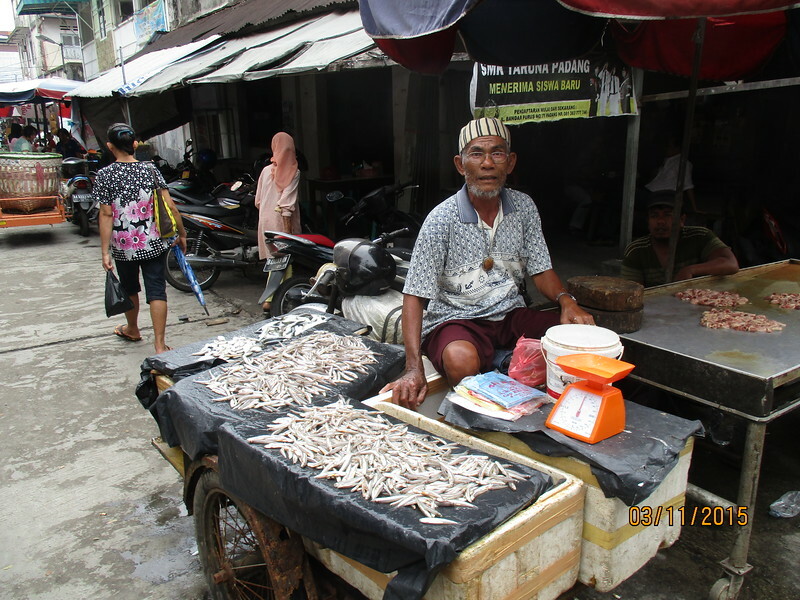 Padang is the capital of West Sumatra Province of Indonesia and it is located along the shores of the Indian Ocean coastlines.The town suffered a major earthquake back in 2009 as it lies on the active fault lines in the Indian Ocean. I made a three day escape to Padang recently as the offer by Air Asia was too good to refuse, which was only RM 125 return. 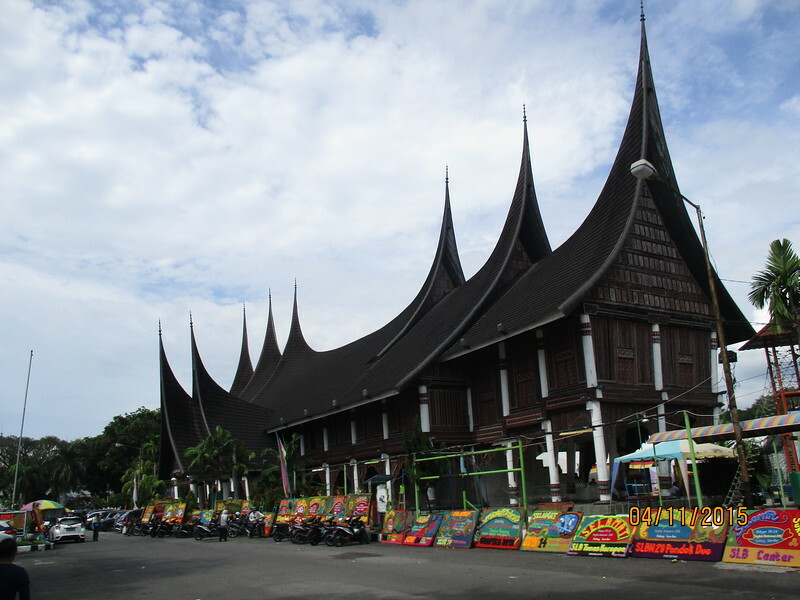 West Sumatra is the home of the ‘Minangkabau’ clan of people which yours truly has some blood relations through my mother’s side of the family where her great great great grandfather in the 18th century migrated to Malaysia from West Sumatra to start a new life. Hence, this trip of mine might have been some sort of a homecoming trip – but it was not. It was just a short break for me which was a most needed one. 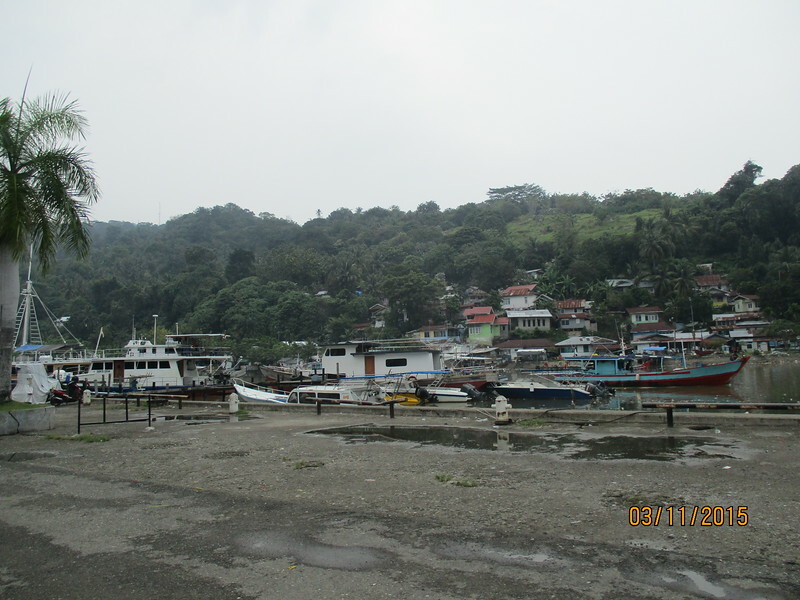 Batang Arau ‘muaro’, river estuary. 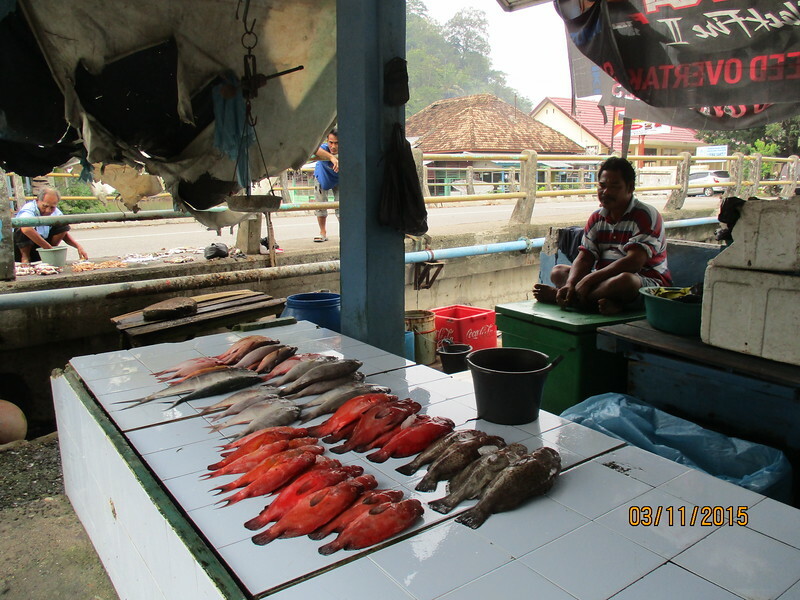 Fish stalls along the estuary. Padang Town has a colourful colonial history where it was the most important town in Sumatra for the Dutch.The Batang Arau river muaro (estuary) is a location where you could enjoy the sights of the Dutch colonial buildings where most of them were either destroyed or badly damaged during the 2009 earthquake. 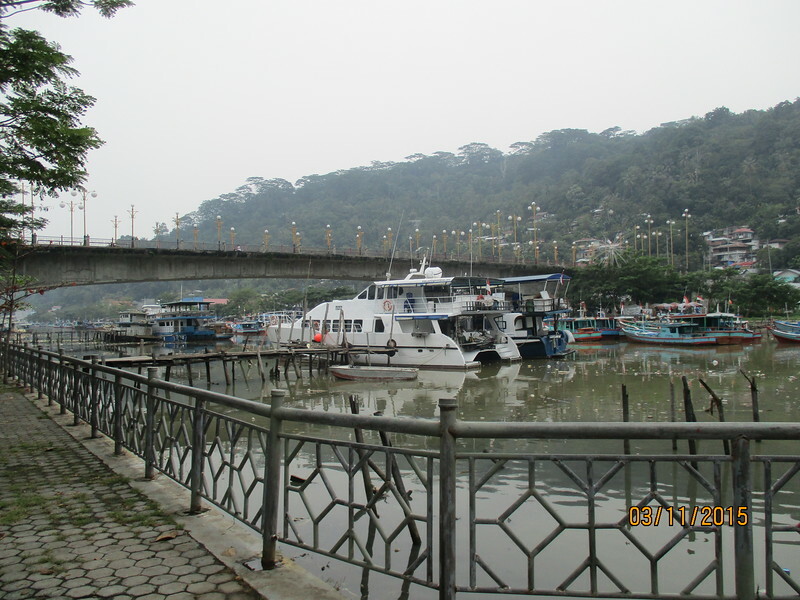 During the Dutch colonial period, Padang emerged as a major trading port for the Dutch which resulted in warehouses, offices and military installations being built along the Jalan (Road) Batang Arau which faces the Batang Arau river. This area was a fortified trading post built by the East-Indies Company (VOC) back in 1665. Captured by the British and given back to the Dutch that ruled it for nearly 200 years until the Japanese forces invaded Indonesia in 1942. 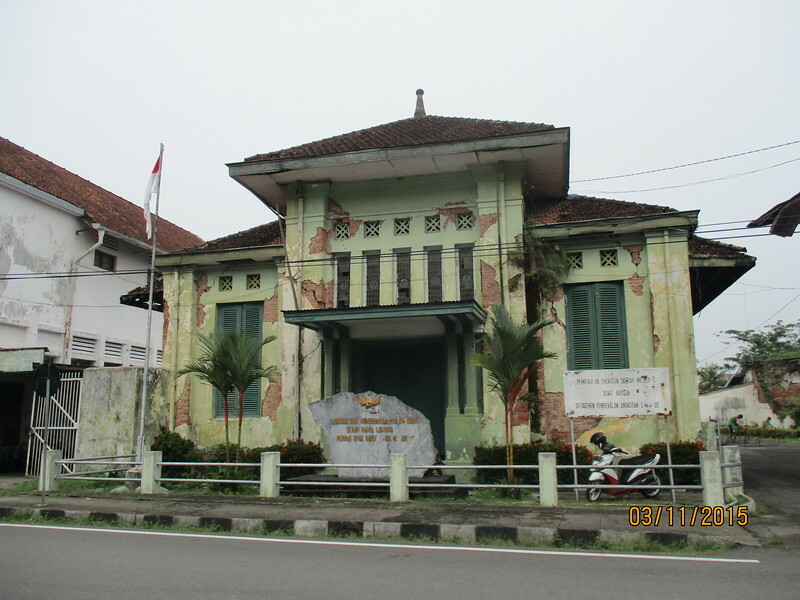 Dutch Colonial Building, Jalan Batang Arau , Padang. 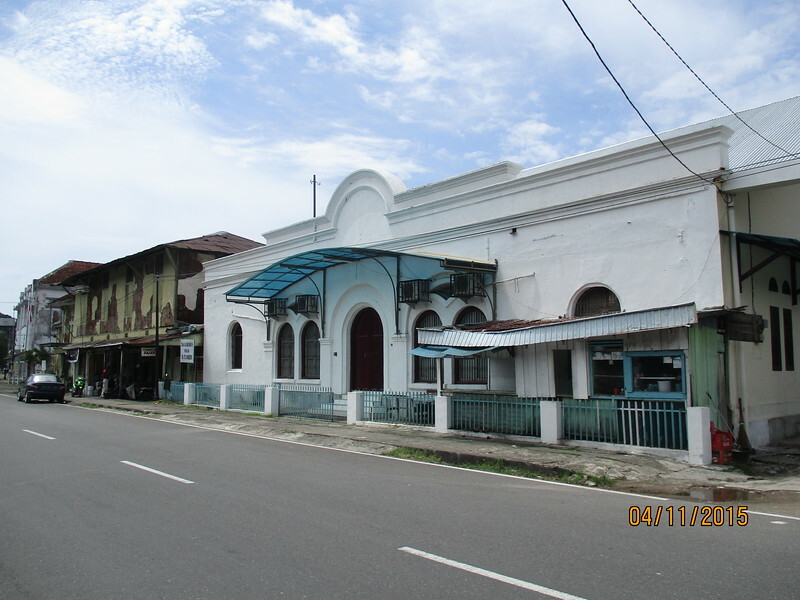 As I started walking from the mouth of the Batang Arau river the first colonial building that came to sight is a building ( pic above ) that was built in 1929 according to the plaque that is placed at the ground floor of the building. I tried to get more information from the present occupants of the building which is presently a yoga studio. 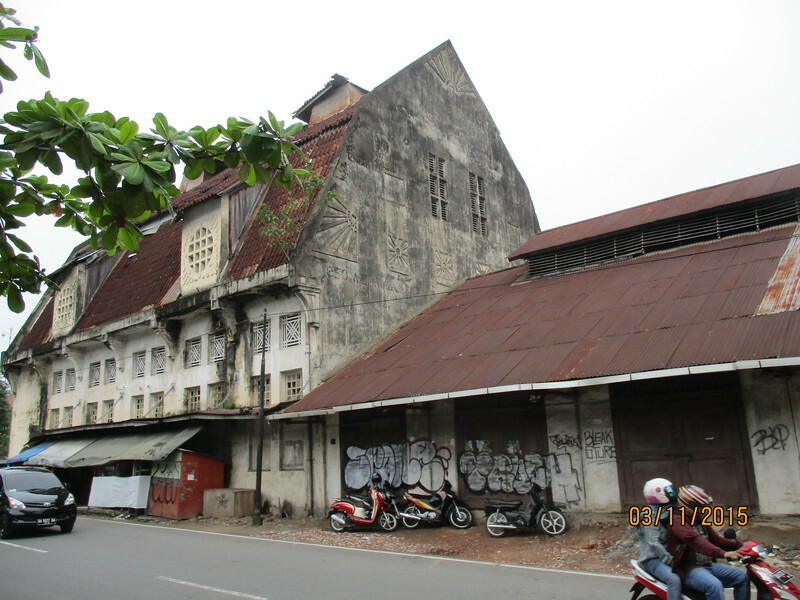 All that could be remembered by the present occupants was that the building was used by the Indonesian state owned oil company Pertamina back in the 1970’s to the late 1990s …. Indonesian Naval forces logistics depot. 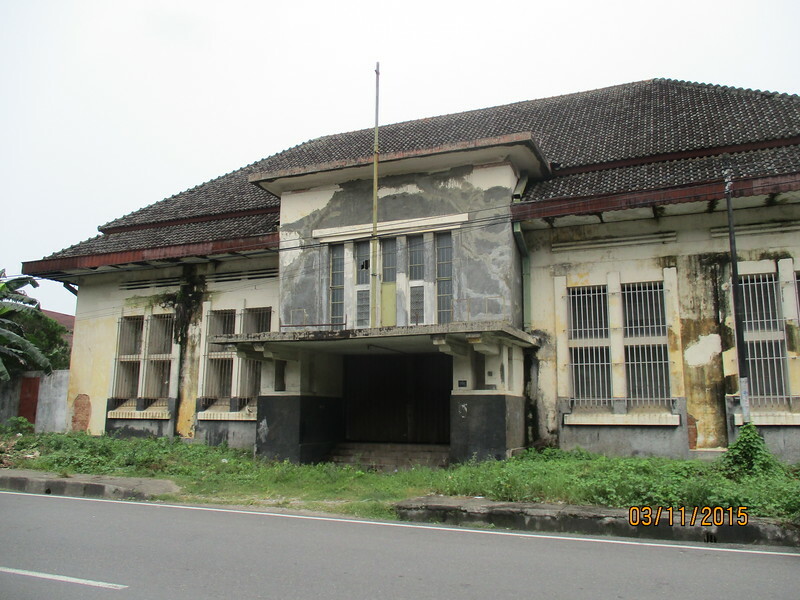 The next building along the road was believed to have been a regional Naval headquarters of the Dutch Navy and it’s currently being used by the Indonesian Navy as a logistical depot. Siti Nurbaya Bridge, Batang Arau river, Padang. 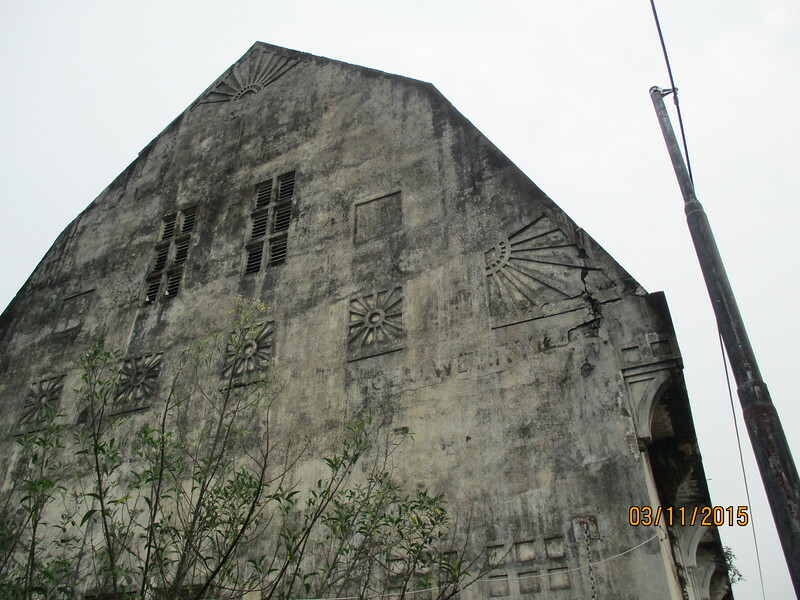 No 72, Jalan Batang Arau, Padang. 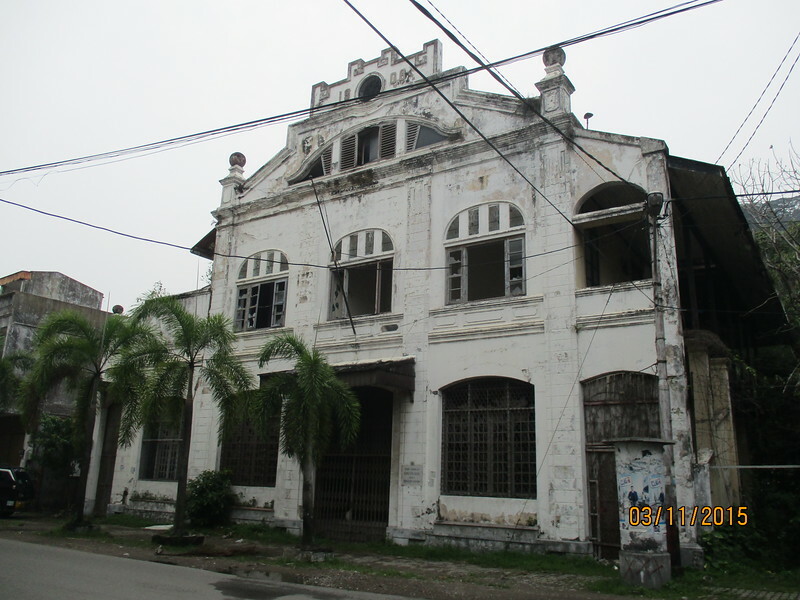 No 72, Jalan Batang Arau stands a former Dutch warehouse which is believed to have been one of the oldest and well preserved Dutch colonial buildings, which dates back from the 19th century. It is now privately owned by a local doctor. Beside the warehouse lies a building that could have been a bank or an armory, judging from the placed steel bars over it’s windows. Former De Javasche Bank building. 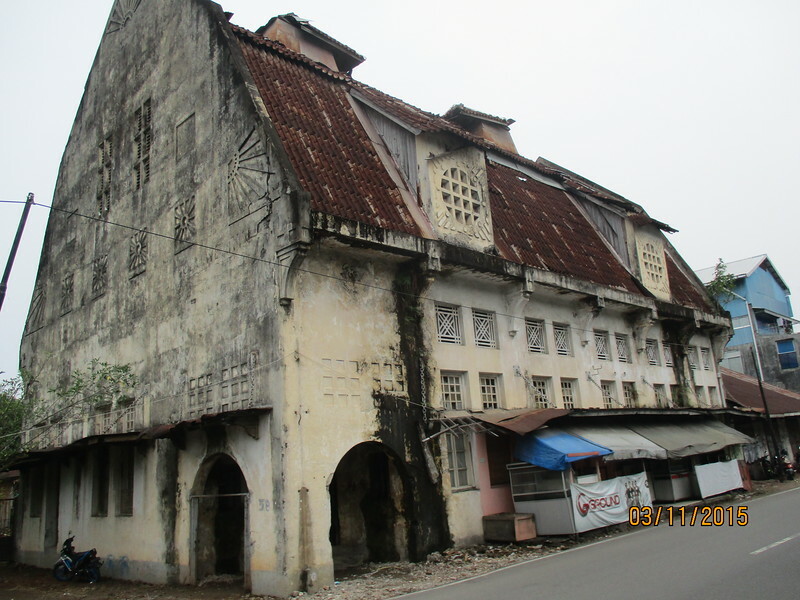 The most preserved colonial building along Jalan Batang Arau is the former De Javasche Bank building. 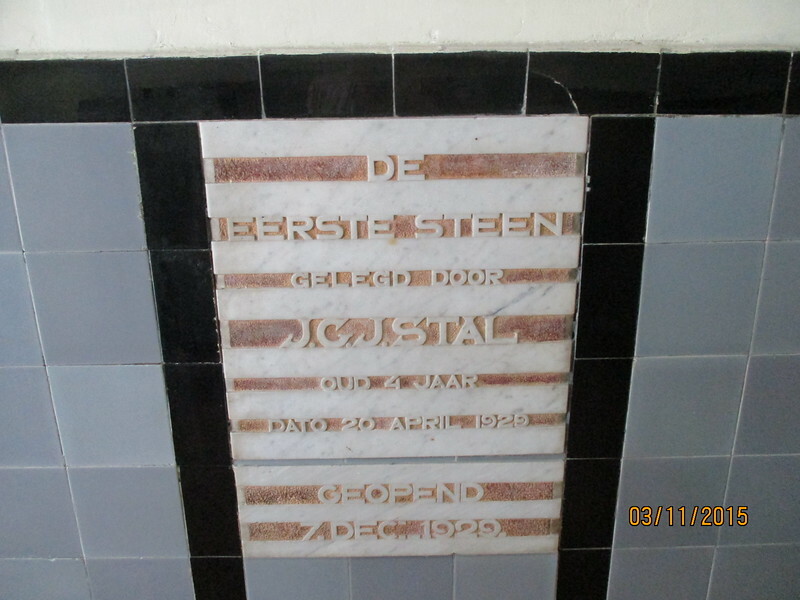 Built in 1925 it was designed by the architectural firm of Fermont -Ed Cupyers of Batavia. 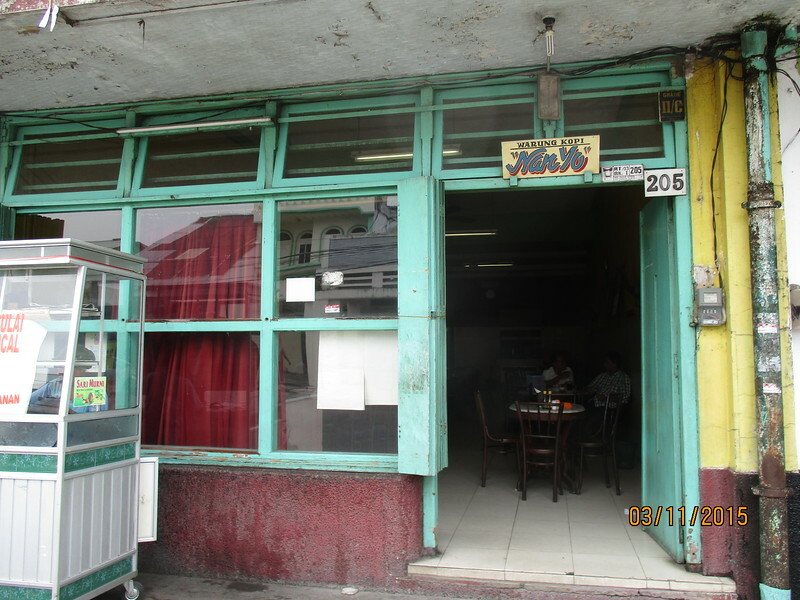 It was used during the ’50s and ’70s by Bank Indonesia. Remnants of railway bridge, Jalan Batang Arau, Padang. 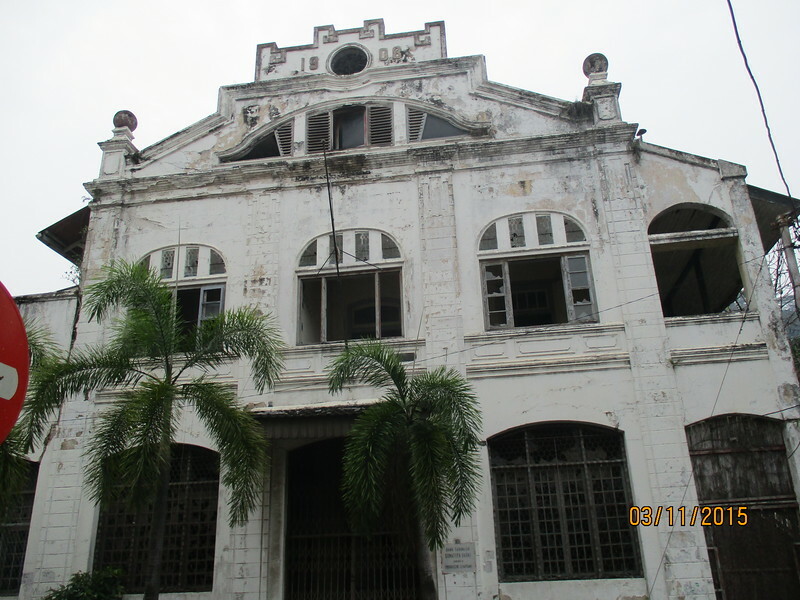 At No 53, Jalan Padang Arau ,stands the building of the former headquarters and warehouse of the Nederlandsche Handle – Maatschappij which was the successor of the famous Vereenigte Oostindische Compagnie (VOC). It’s former tenants were the insurance company of Geo Whery Co., it’s faded sign could be seen on the side wall of the building . 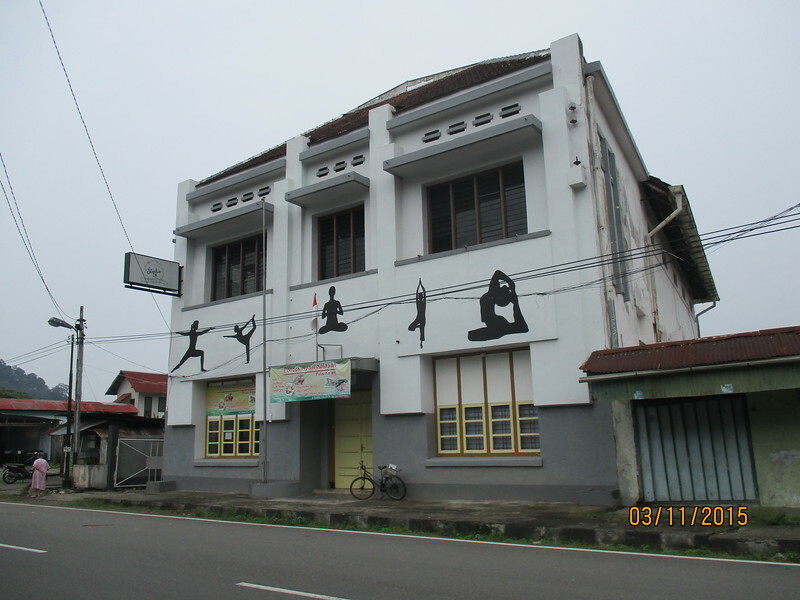 Former Padangshe Spaarbank building, Jalan Batang Arau, Padang. 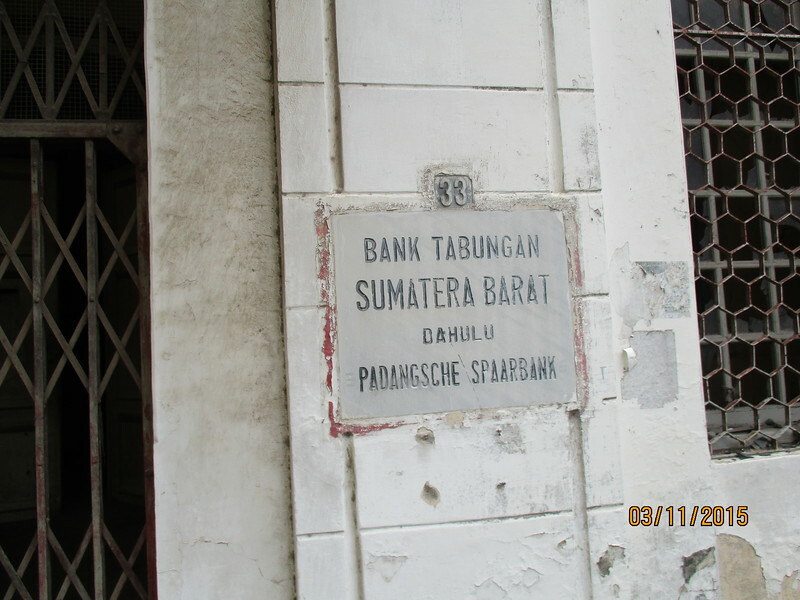 Plaque at the former Padangshe Spaarbank building, Jalan Batang Arau, Padang. 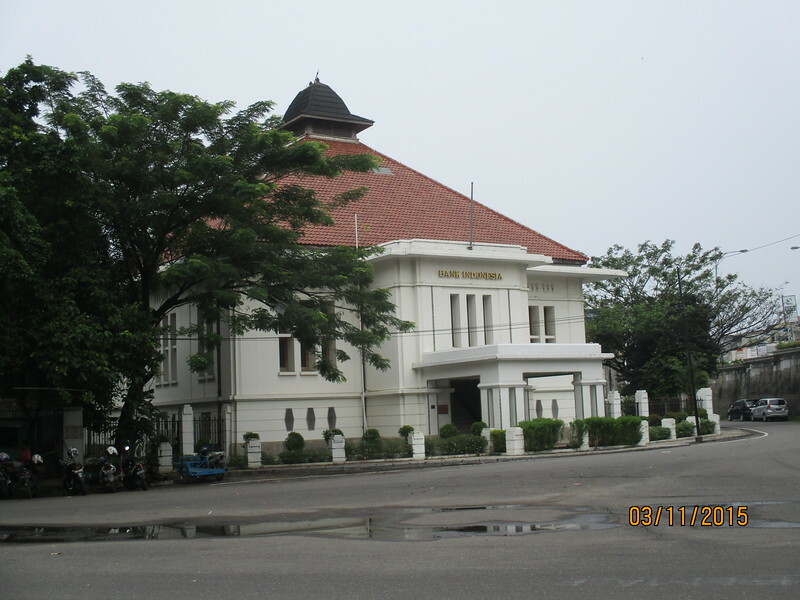 No 33 , Jalan Padang Arau was the former Padangsche Spaarbank Bank which later became Bank Tabungan Sumatera Barat. It was last a boutique hotel that was destroyed by the 2009 earthquake. The bank building was opened in 1906 . Chinese Quarter Market street, Padang. 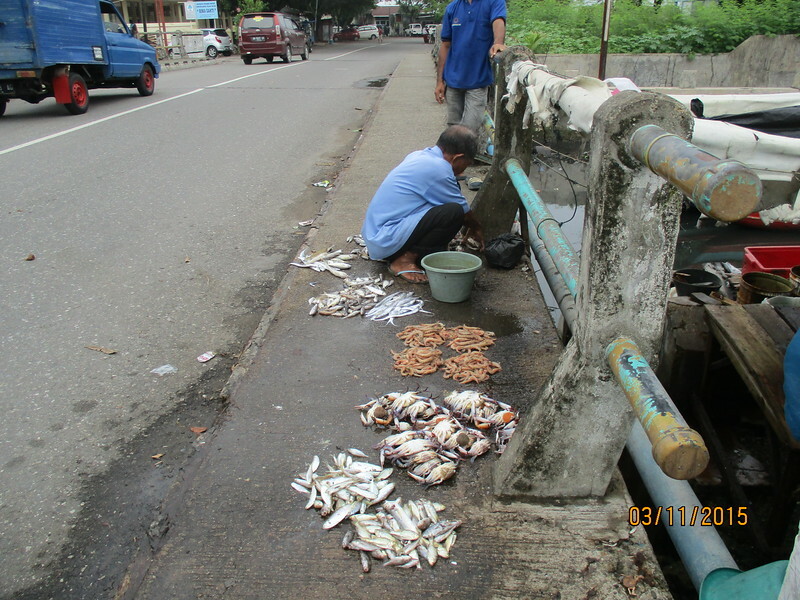 Fishmonger @ Chinese Quarter, Padang. 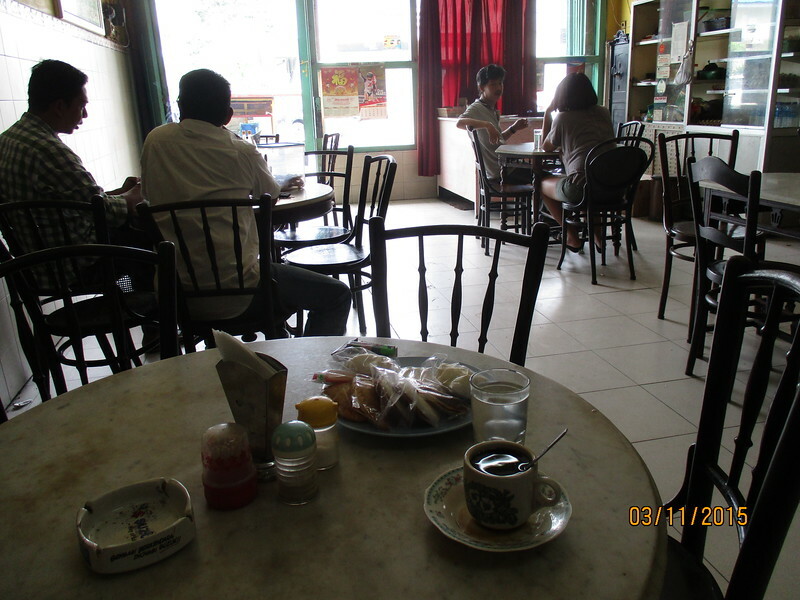 Coffee shop @ Chinese Quarter, Padang. 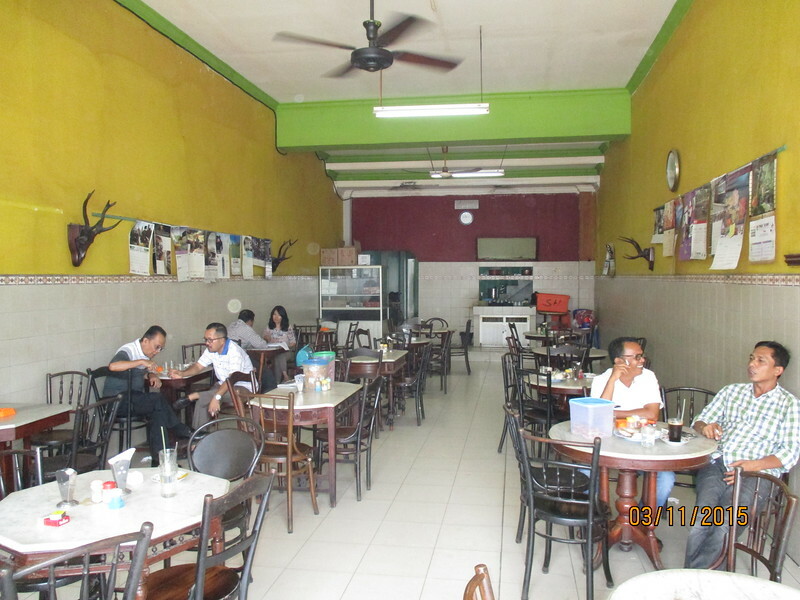 Padang Chinese Quarter coffee shop interior. Padang Chinese Quarter shop interior. 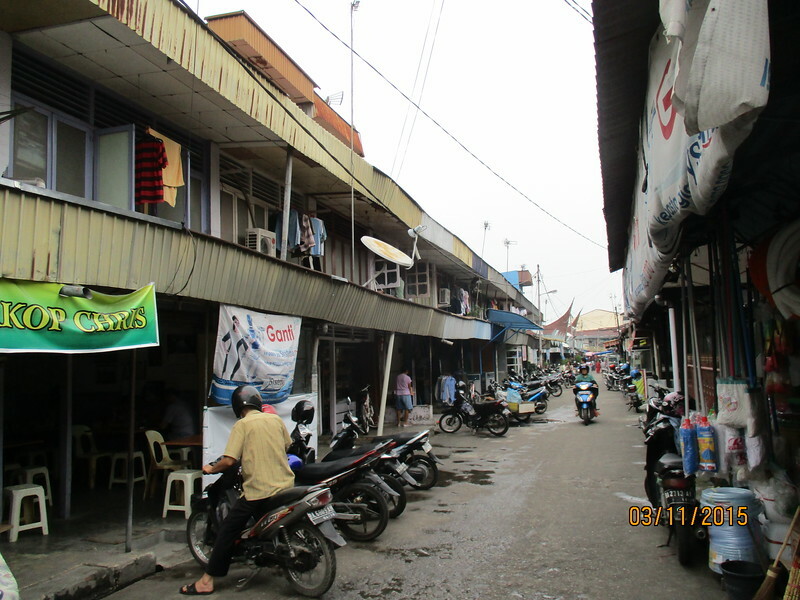 Located nearby the Jalan Batang Arau is the Chinese Quarter of Padang. This area is also full of old buildings but majority of them were destroyed or damaged badly by the 2009 Padang earthquake. 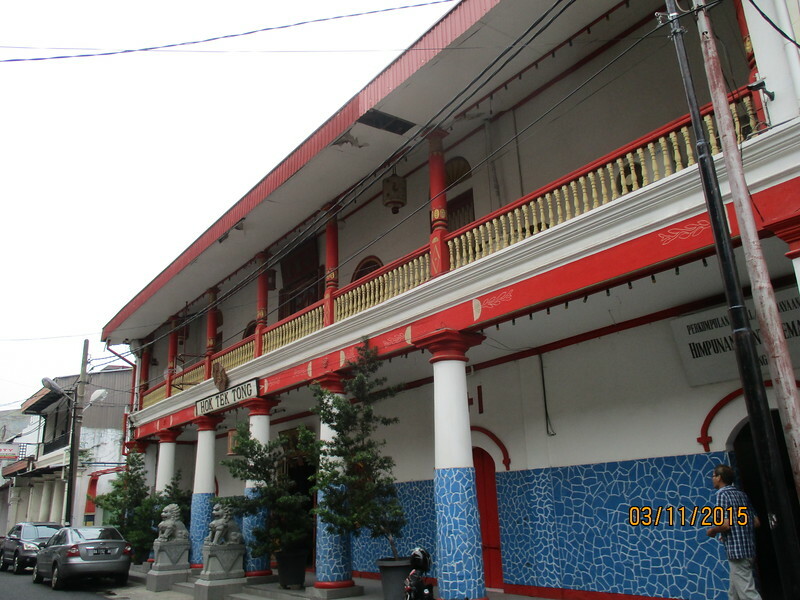 I enjoyed walking through the Chinese Quarter as I could see the Chinese population and the Minangkabaus living in harmony. Chinese shops selling prepared halal food alongside their Minangkabau counterparts. I stopped at a Chinese coffee shop which still has the ambiance of a typical Chinese coffee shop. 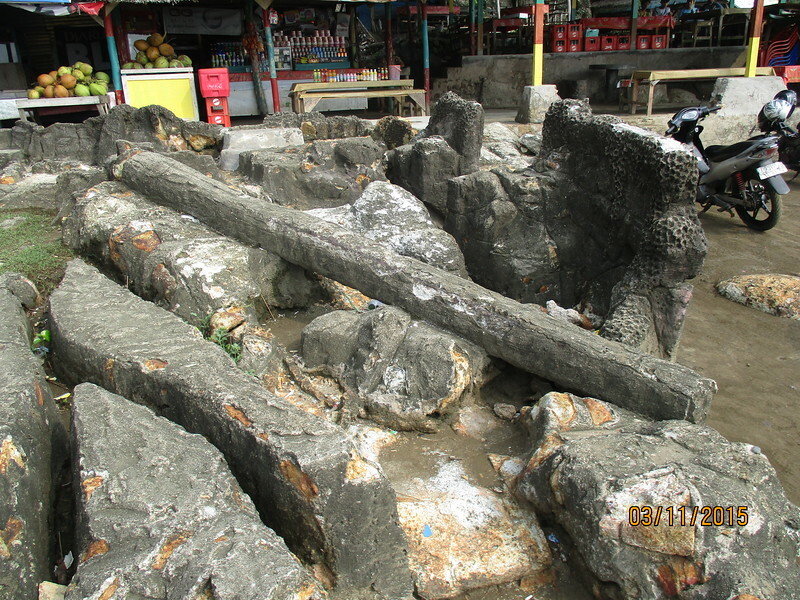 Batu Malin Kundang stone remnants. 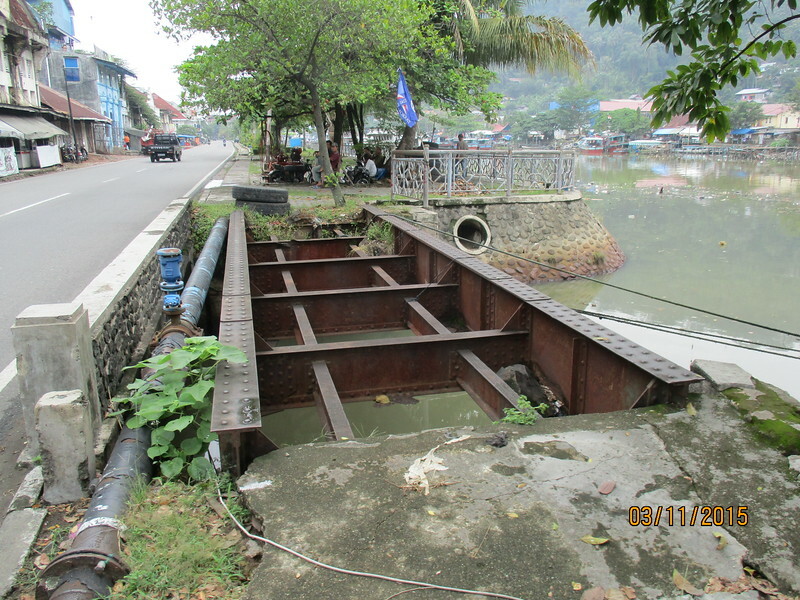 Remnants of Malin Kundang ship. 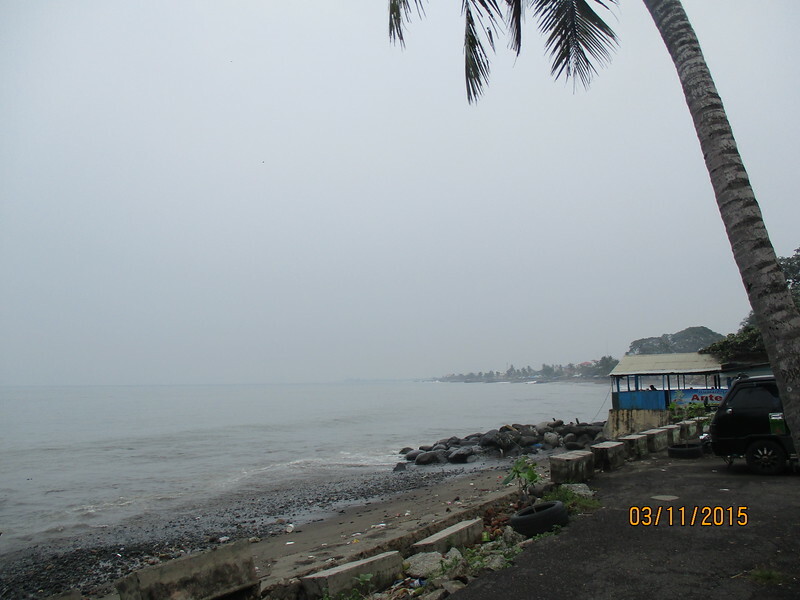 Pantai Air Manis (Air Manis Beach ) Padang . 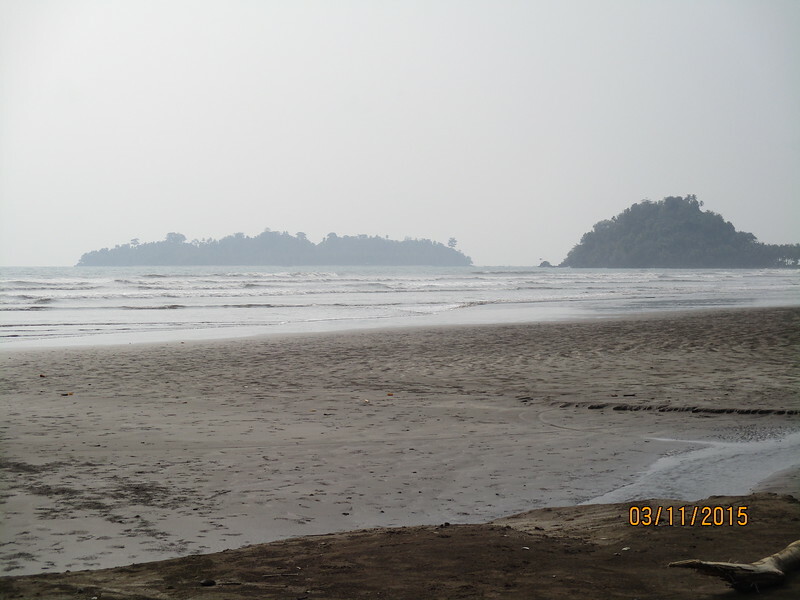 The other attraction in Padang is the Air Manis beach which is located about 30 minutes taxi ride from Padang. 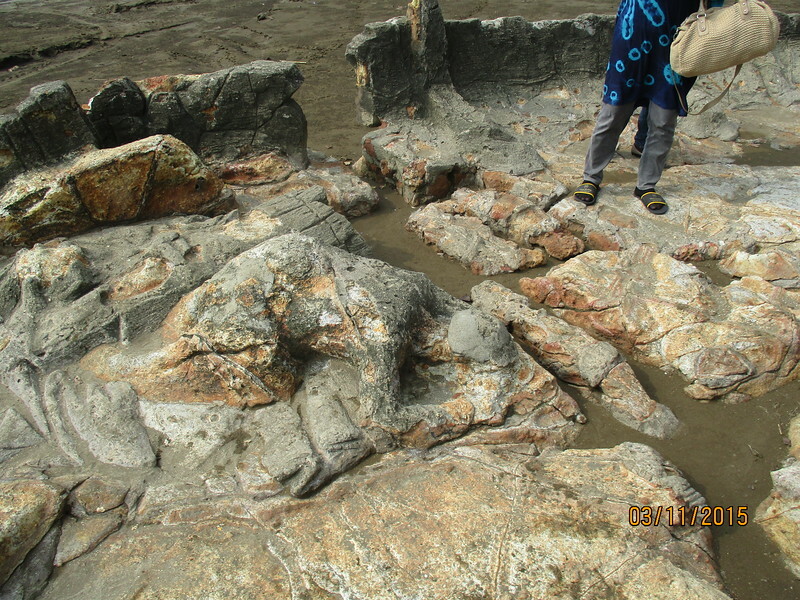 The beach is a muddy one, nothing to shout about but it is the location of the Malin Kundang statue. Myth or real it tells a story of a successful young man who did not acknowledge the presence of his mother after he returns from a voyage. 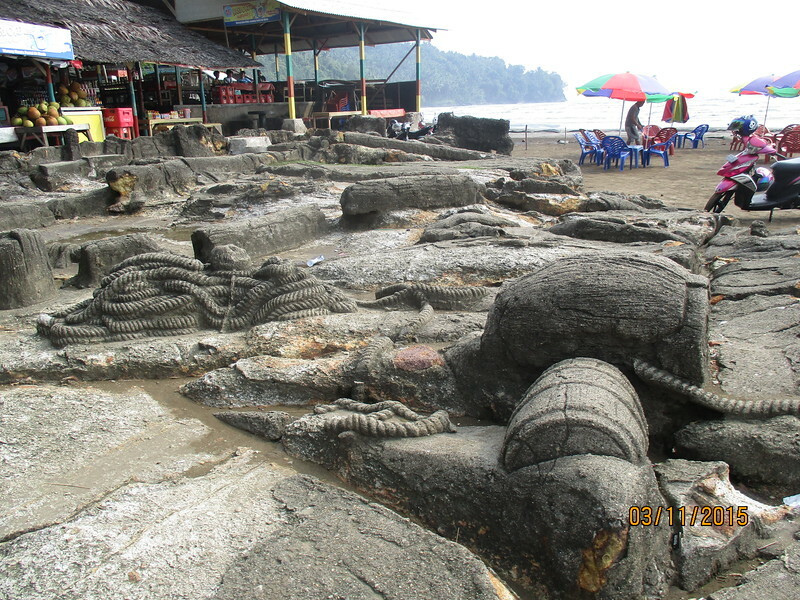 The mother was so upset with her ungrateful son and because of this there was a great storm and the son and his ship turned into stone effigies which is located by the beach. I planned a trip to the nearby resort town of Bukit Tinggi but it did not materialise as I woke up late the next morning and missed the early morning buses. In shaa Allah (God Willing)I would like to make another visit to Padang to cover the missed bases from this short break of mine.